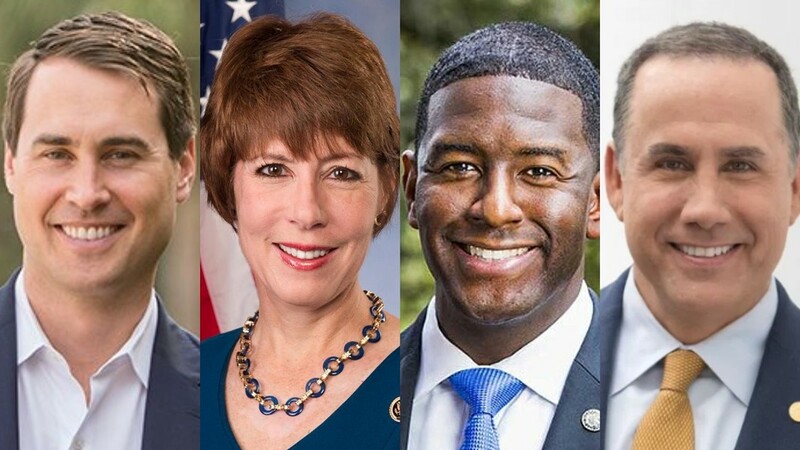 Two days after they took out the knives in Tampa Bay, the four top Democrats running for governor avoided the slightest flare-up during a cordial, two-hour debate Monday evening in Miramar. The candidates were united on nearly all fronts, including their condemnation of President Donald Trump and Gov. Rick Scott, in the quest to return the Florida governor’s mansion to Democratic control after nearly two decades. 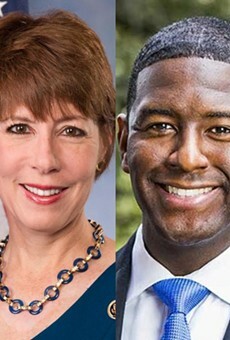 Two of the Democrats —- Tallahassee Mayor Andrew Gillum and Orlando-area entrepreneur Chris King —- sought to capture the “most progressive” title during the forum, whose hosts included Service Employees International Union Florida, New Florida Majority, Planned Parenthood and other left-leaning groups. As he did during a debate Saturday night in Pinellas Park, former Miami Beach Mayor Philip Levine, who has pumped at least $8 million of his own money into his campaign and spent much of that on television ads, spoke in Spanish, pledging to “level the playing field” and restore the American dream to Floridians. 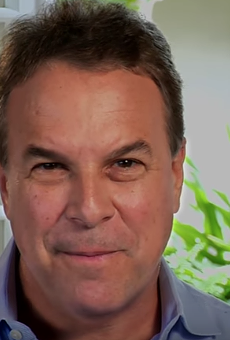 Palm Beach billionaire Jeff Greene, a Democrat who entered the governor’s race last week, did not attend Monday’s debate, broadcast by public radio station WLRN. Like Saturday’s session, Monday’s debate opened with a series of questions about guns, with all of the Democrats promising to ban military-style “assault” weapons and impose stricter background checks on gun purchases. At the urging of moderator Luis Hernandez, a host with WLRN, all four candidates attacked Agriculture Commissioner Adam Putnam over a report that a former employee of Putnam’s failed for more than a year to conduct national background checks on applications for concealed-weapons licenses. Putnam, a Republican running for governor in a heated primary against U.S. Rep. Ron DeSantis, told reporters Saturday that the former employee failed to follow up on 365 applications and that the Department of Agriculture and Consumer Services had revoked 291 permits that had been issued in error. 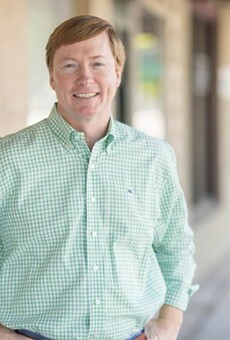 Each of the Democratic candidates called for Putnam to resign and drop out of the governor’s race. Levine likened Putnam to a bus driver who “ran right over” his former worker to avoid taking responsibility for the error. Gillum blasted Putnam, the “establishment” candidate in the GOP primary who has garnered more than $30 million in support, for calling himself an “NRA sellout” and “bragging” about the number of concealed weapons licenses —- nearly 2 million —- the department has issued under during his eight-year tenure. The Tallahassee mayor called for an independent investigation into the matter. “Somebody ought to be arrested,” he said. The Democrats were also aligned on every issue that could appeal to base voters in the Aug. 28 primary, such as raising the minimum wage, eliminating “high-stakes testing” and pumping more money into the state’s public education system. And three of the four candidates supported free college tuition for students who agree to work in Florida after they graduate. King vowed to introduce free college and vocational training for all students. Also, the Democrats unanimously said they would oppose any legislation that would diminish abortion rights. As she has in the past, Graham used her gender to set herself apart from her male opponents. “As a woman, it’s time that we have women at the table to fight for women health care issues,” she said, vowing to “take out my red pen” to veto any anti-abortion bill. The candidates were also unified in their support for the environment, including efforts to address climate change. 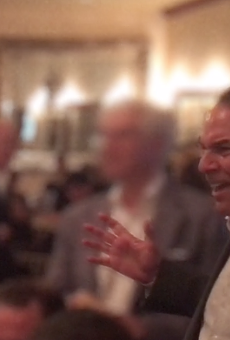 “I don’t have to think about what I’m going to do because as the former mayor of Miami Beach I actually did it,” Levine said, adding that he “raised roads, put in pumps, raised sea walls” and put together a $500 million infrastructure program to address sea-level rise. Levine said he would appoint a “chief resiliency officer” in Tallahassee, as well as “regional resiliency officers” to address the issue. Graham said she would appoint a commission and insist that all government buildings be built with solar panels. King blamed “big sugar” for the failure to adequately protect the state’s natural resources. On the issue of prison privatization, again the candidates showed no separation. Each vowed to refuse to accept any contributions from the private prison industry when asked by a young woman who identified herself as a member of the “Dream Defenders” organization, one of the sponsors of the debate. Gillum said he wanted to outlaw private prisons and reminded the audience of his solidarity with the Dream Defenders, who held a month-long sit-in inside the Capitol in 2013. “When you all slept in for 30 days on the cold, hard marble floors of the state Capitol, I was pleased and proud to sneak food into you every night so you could eat,” he said, sparking applause from the crowd. And each of the candidates promised to reject the anti-“sanctuary” policies embraced by the Trump administration, as well as Republican gubernatorial candidates Putnam and DeSantis. “No. Donald Trump, stay out of Florida. Stop trying to use your hateful, divisive negative approach to Washington, D.C. in influencing what needs to be here in the state of Florida,” Graham said. Gillum pointed out that he debated House Speaker Richard Corcoran on the sanctuary city issue earlier this year. “To quote a famous rap song, I walk it like I talk it,” he quipped.